There's something about the cold shoulder trend that I just adore. It might be my love of Paula Abdul and the fact that it reminds me of days of old; or it could be the cheekiness of it. Either way, I'm all in. 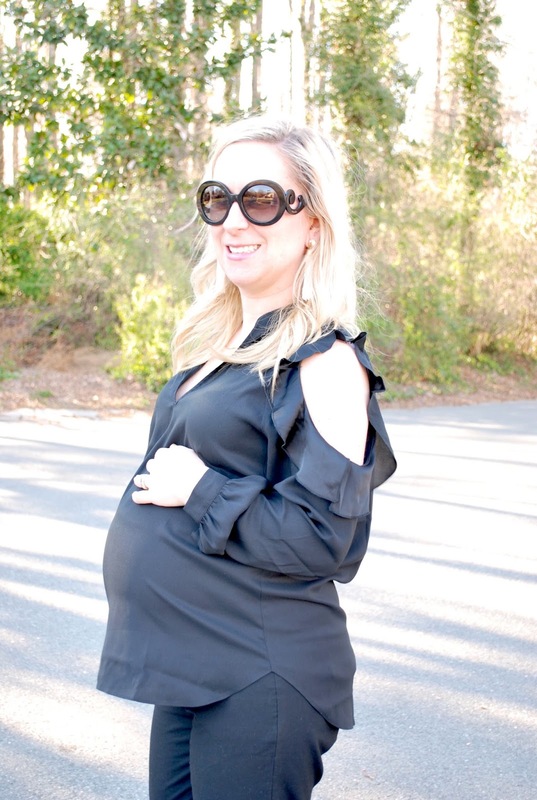 I snagged this top during Ann Taylor's Friends & Family event a couple of weeks ago and I couldn't be happier with it - bump friendly, generously cut (I'm wearing a small for reference), and super comfortable. Basically wins in all categories. And yet another example of not having to shop all maternity when you are. (But the pants definitely are because, let's be real).